"Postman to Heaven" is a romance fantasy involving a special man and a love lorn woman. 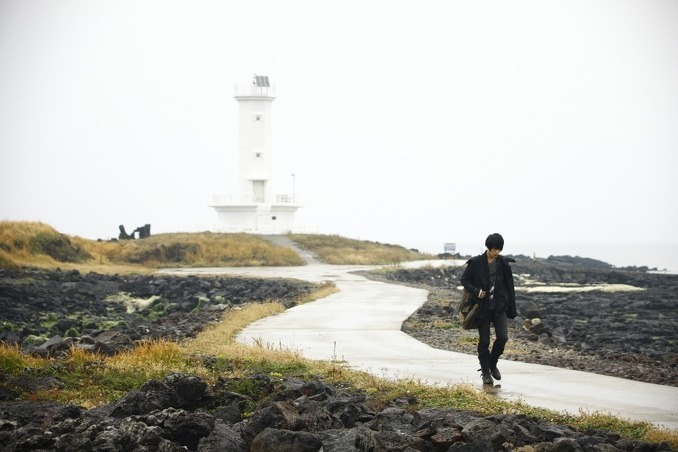 Part of the "Telecinema" series - a planned 7 part joint production between SBS (South Korea) & TV Asahi (Japan). All segments will screen first in the cinema, then broadcast on television in South Korea and Japan. "Postman to Heaven" opened #6 at the South Korean box in limited release, selling 34,158 tickets on 127 screens and accounting for 1.7% of all tickets sold during its opening Nov. 13th-15th weekend. Amberle Jan 30 2018 6:49 pm This is such a lovely story. I love the indie feel of the way the movie is shot, the dressings of the actors/actresses, and the feel of the whole movie. And thank God, it wasn't a sad ending as I feared (with that kind of title, you always assume the worse ;P) . The movie left me feeling warm. chyantrils25 Nov 25 2015 7:30 pm man!those facial expressions of hyo joo is so freaking cute & adorable!despite her not so good hairstyle she still pull it off and she's so cute!!! Starry de Beniza Nov 23 2015 10:30 am I love the location of Postman to Heaven so much, this movie make me fall in love the Sky. And sure, I'm one of their fan. sen Sep 11 2015 12:58 pm BEST MOVIE I HAVE EVER WATCHED. I have watched almost every best high rating Korean movies . But this is the best I have watched so far. Rosmawati Mawar Apr 19 2015 8:44 am I'm watching this movie right now.. its was so awesome.. JaeJoong and Han Hyo Joo chemistry was so good.. I think this is one of the best korean movie.. JaeJoonh so handsome yet so cute..
hannah Jan 30 2015 10:30 pm wanna see jaejoong and han hyo joo reunion and collaboration again in next project drama or movie.....^^ really love this couple and their chemistry. marian Jan 25 2015 5:50 am simple yet beautiful and unique story. great chemistry as well. i agree, it's a subtle sweet romance. i wish it was longer. marian Jan 25 2015 4:23 am simple yet beautiful and unique story. i agree, it's a subtle sweet romance. i wish it was longer though. Kinggofing May 20 2014 4:37 pm Awesome movie, has some similarities with "Humming" but a totally different plot. I recommend this to everyone, don't worry, it's a happy ending unlike the Humming which tore my heart out (still love that movie though :). LIz Oct 13 2013 5:32 pm A beautiful love story. The scenary, the indie-like feeling the movie has. It was perfect. The young 2 male leads succesfully conveyed the feelings and their chemistry was lovely. Definetly a must watch. Adina Jul 01 2013 6:41 pm I was pretty scared to watch it at first as I am not into sad I endings. But due to the comments, I finally got the courage to watch it. And I am telling you, whether you are a happy ending seeker or a sad ending hunter, this is the movie for you. Even for sad ending haters, you won't regret watching. I'm your guarantee. ..
numberonefan Mar 23 2013 10:04 pm LOVE the movie, LOVE Hero and his confession scene!!! Great story, great acting, great writer, everything about this movie was simply marvelous. Never could have wished for a better movie. If you have not seen it you better call up youtube or some other site and watch it asap!!!!!!!!!! Forever will stay in my heart! wki Aug 27 2012 2:25 am such a beautiful movie. not overly complicated; just subtle sweet romance. kisses Jan 14 2012 7:05 am i choose lady Jang of dong yi the best. saatt94 Oct 11 2011 7:13 am Did you guys allready watch it?? i can't find it on internet but it seems a very cool movie. I'm defenitely going to wacht it. 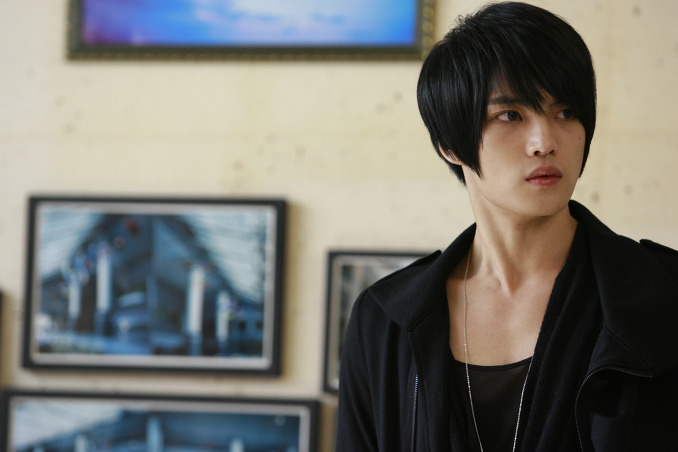 Jaejoong is in it :D:D allready love it. But is it a drama or a movie? Sara Jul 29 2011 9:35 pm This movie really made me cry...with all my heart. it really spoke to me, the movie itself is amazing. Of all the romantic movies i've seen...this movie is by far the most incredible and touching story of all. nie Jul 07 2011 1:00 pm I was bored with this film. I think it was predictable, but I loved the setting though. hyorin Apr 24 2011 10:52 pm its a cute love story i haven seen...best! p3rk3le Sep 30 2010 12:57 am I absolutely loved this!!! Justi Sep 28 2010 3:22 am haha i wanted to say "i finally got to see my future husband enough times" but lol i dont really want to marry him (not that he would marry me specifically). I just... i guess he's my idol lol. (for any christians i don't mean it in THAT way. hes just my favourite celebrity i guess). Loved this movie! first asian made film/drama that actually made me cry (that coffee scene was so heart-breaking). I recommend it to everyone lol. Bee Mar 09 2010 11:06 am when will it be broadcast on tv? I have waited one year to watch this movie with english subs! khaidi Feb 13 2010 1:36 am wanna watch it!!!!!!!!!!!!!!!!!! !